The #44HT Foredom Handpiece is a square drive handpiece to be used with Foredom motors SRH, TXH, LXH and the discontinued H only. This tapered grip handpiece is similar to the #30 Handpiece except that it has a collet-type chuck adaptable to larger accessories; seven collets from 1/16" to 1/4" available. 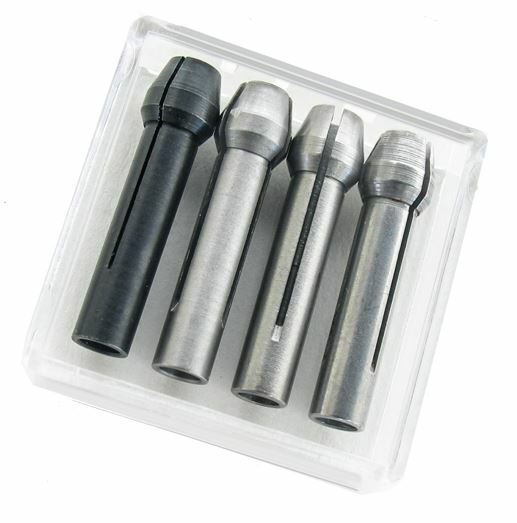 Popular for roughing out and other operations requiring larger size accessories. Comes with 3/32", 1/8" and 1/4" collets, pin and wrench for changing collects and accessories. Size is 6/14" long, 1" diameter at the center and 3/4" diameter at the taper. Other collect sizes are available.